Welcome to Hartbeeps North & East London. 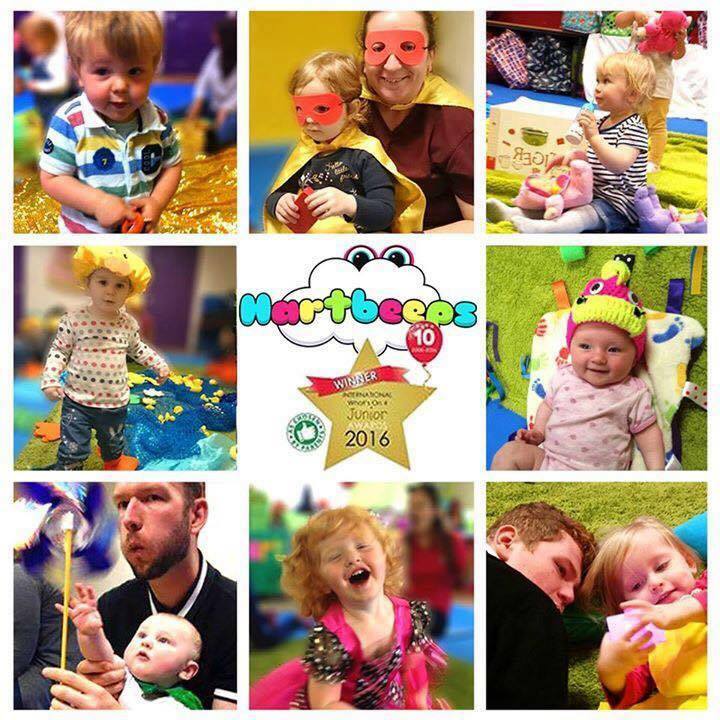 Join our award winning multi sensory classes and take your little ones on an adventure to Babyland, creating magical memories together. Our classes are from Newborn to Pre school. At Hartbeeps we put your child at the heart of our magical, musical adventures. We create innovative, multi sensory and highly interactive productions for the very young, by transforming everyday environments into colourful, tactile 'wonderlands' taking children into the world of imagination. All our classes are set to a soundtrack of original songs, remixed nursery rhymes and lullabies. Come and experience Baby Land and enhance every stage of your child's early years. 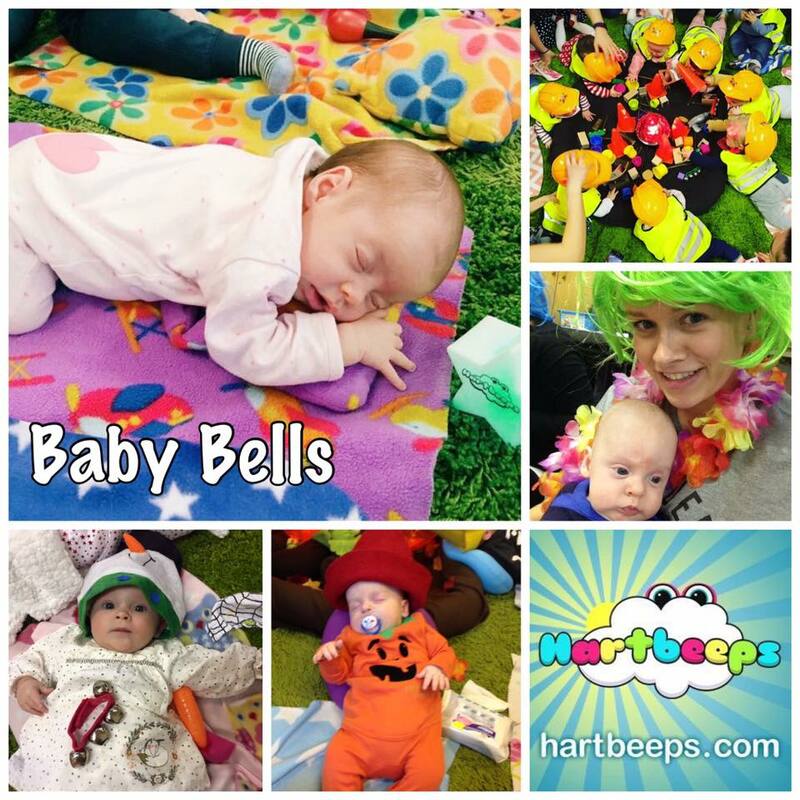 Hartbeeps Baby Bells class is for our pre-mobile babies. Our lovely, gentle class focuses on awakening baby's senses, along with bonding. We use elements of baby yoga, baby massage and calming techniques backed with a soundtrack of beautiful music and lullaby's. Baby's will feel and discover age appropriate colourful props and meet our friendly Hartbeeps puppets, along with lighting effects. Use this precious time to engage with your baby and enjoy special moments together, singing to your baby and watching them engage with new senses, sounds and movements. Our Baby Bells class is a magical time for babies to engage together during tummy time and for grown ups to exchange troubles, rewards and ideas. Classes are totally baby lead, and we respond to babies needs. You will make lovely memories together and beautiful photo opportunities. Baby Beeps (Sitting to Walking) A fun-filled, energetic adventure for both babies and grown ups, each class has unique themes and props, along with our amazing Hartbeeps puppets, we travel to Baby Land where we sing dance and play, with our cool soundtracks, lighting effects and parachutes. Every week is a magical production. Happy House (Toddlers - Preschool) Happy house is a unique class where grown ups can bring their toddlers and any siblings. At Happy House, every day is a party. Where every session is about confidence along with physical and emotional development. The children become the story and engage fully with each adventure. Dancing and singing to upbeat soundtracks along with creative play and lighting. Oh and of course bubbles lots and lots of bubbles.!!! Hartbeeps Baby Beeps classes are for our little ones who are aiming to become mobile, by crawling, till they are confidently walking. Journey with us down the rabbit hole on a fun-filled, energetic adventure for both babies and grown ups, each class has unique themes and props, along with our amazing Hartbeeps puppets, visits from our Hartbeeps head chefs the 'Numma's'. 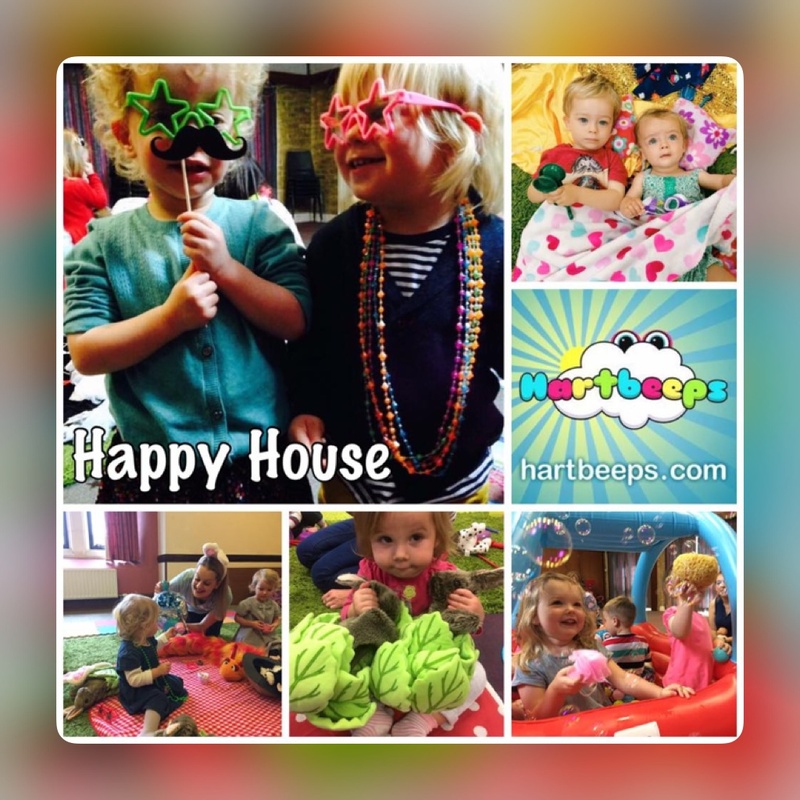 Hartbeeps Happy House class is for toddlers - preschool age children, younger siblings are also welcome FOC. At Happy House, every day is a party. Each session is based around learning and developing through music and play, we help build confidence along with physical and emotional development. The children become the story and engage fully with each adventure we journey to. Dancing and singing to upbeat soundtracks along with creative play, our children's favourite character puppets, and of course our role play dress up. Not forgetting bubbles lots and lots of bubbles.!!! What our grown ups say about us.